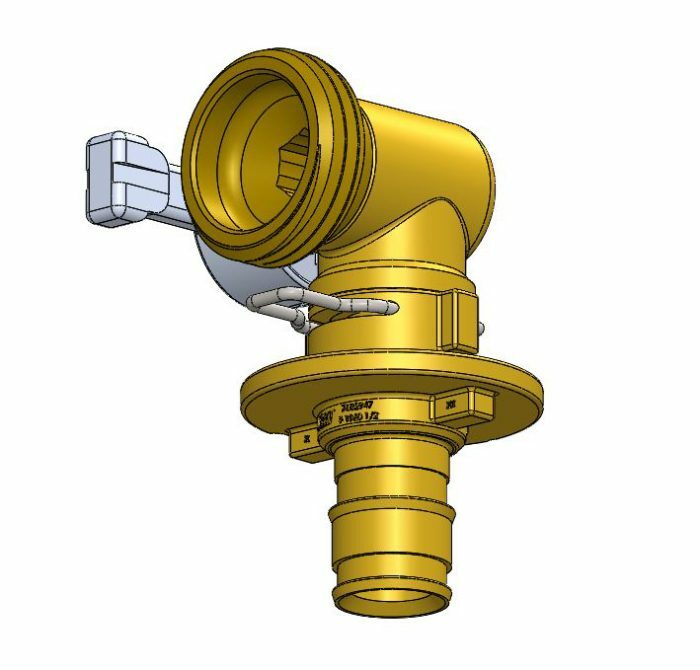 NLS was contacted by our client to perform an in-depth finite element analysis on an innovative valve assembly design. The assembly boasts a unique design that allows for quick changeover of different valve components to create a number of customized options. 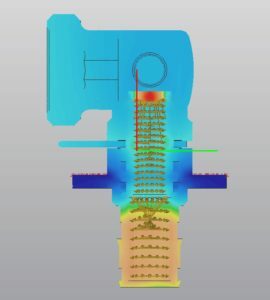 The FEA was performed to test the tailpiece of the valve assembly under various materials and analyze the interactions between the components of the assembly. The FEA simulation was setup and tested to standards as per ASME A112.18.1, Sections 5.3.2.2 and 5.3.2.3. 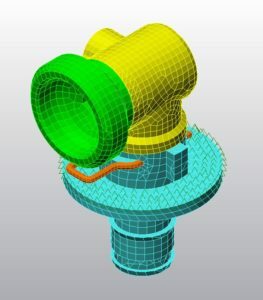 The results of the FEA allowed our client to validate their design and refine their part models without the added time and cost of prototyping and testing physical samples.